Electric flow boilers provide a clean, efficient and safe way of heating water for wet system space heating applications. They are highly efficient with a much lower servicing and maintenance requirement than many other heating fuels. Ideal where there is no gas availability or gas regulation restrictions apply, electric flow boilers may also be used in conjunction with indirect water heating cylinders for a domestic hot water supply. This electric boiler is 99% efficient and provides a versatile and safe way of heating water wherever there's mains electricity. Suitable for unvented wet central heating and domestic hot water systems, the Powerstream Ascari electric boiler can be used as a direct replacement for Gas, Oil, Propane, Solid Fuel or Electric Storage Heating * . * Building Regulations apply. The Redring Powerstream unvented instantaneous water heater delivers instant hot water at point of use. This compact and unique design eliminates the need for centrally stored hot water cylinders saving on electricity usage and important space. The new Powerstream ECO delivers hot water instantaneously at point of use eliminating the need to connect to a centrally located hot water cylinder with long pipe runs. This compact and unique design now offers an external power selection dial with an ECO setting for ease of use and reduced running costs. With two kW variants 9.5 and 10.8, this direct fed water mains unit is ideal for hand basin supply in commercial washrooms and residential applications where access to stored hot water is limited. 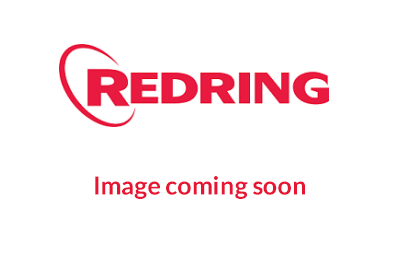 Able to provide an instantly available stored supply of boiling water for food preparation and beverage making in busy kitchen environments, Redring manufacture a range of automatic fill and heat commercial water boilers in capacity sizes suitable for office, cafe and canteen applications. In addition, for domestic kitchen use, Reditap is a three-in-one boiling water and kitchen mixer tap with a convenient compact under sink two litre boiling water supply tank. The RediTap is an attractive and affordable 3N1 hot kitchen mixer tap that dispenses both steaming hot water as well as conventional hot and cold water from existing supplies. Simple and intuitive to use, Reditap operates at low water pressure yet maintains a good flow rate up to 1.5 litres in a single shot. With safety in mind, its cool-to-the-touch body and insulated spout feature a self-closing, locking handle to prevent accidental selection or operation of boiling water. In addition to boil-dry protection, Reditap also offers easy access for descaling in hard water areas. Sensaboil water boilers are ideal for commercial applications such as offices, canteens and cafes where boiling water is required instantly for hot beverages. Designed to heat and maintain a volume of hot water at a specific, thermostatically controlled temperature for convenient point of use draw off, Redring water storage heaters are ideal for kitchen sink and multiple outlet hand washing applications. The TS range has been designed to provide stored hot water from a mains pressurised water supply. The TS unvented water storage heater comes complete with a pressure relief device for inline installation. Immersion heaters are an energy efficient electric heating source for many domestic hot water cylinders. They are simply installed through the cylinder screw-in boss and the immersed sheathed element directly heats the water in the cylinder to the selected required temperature. The temperature is set externally on the thermostat in the immersion heater head which also incorporates the dual safety cut-out protection control. Immersion heaters are available with standard copper or Aqualoy sheathed material for improved scale resistance in hard water areas.